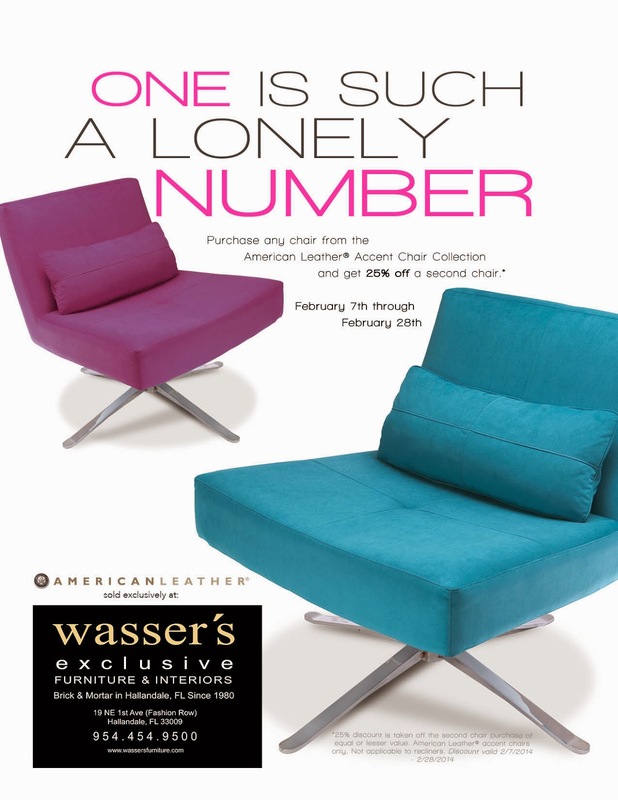 Furniture Maven: Everything's better in pairs! February is the month of love, when some of us celebrate Valentine’s Day by the giving sweet treats, candy, flowers, and much more to the important people we love in our lives. It is never a bad idea to show yourself some love and treat yourself to a pair of accent chairs to add a bit of love for the home! After all, home is where the heart is. 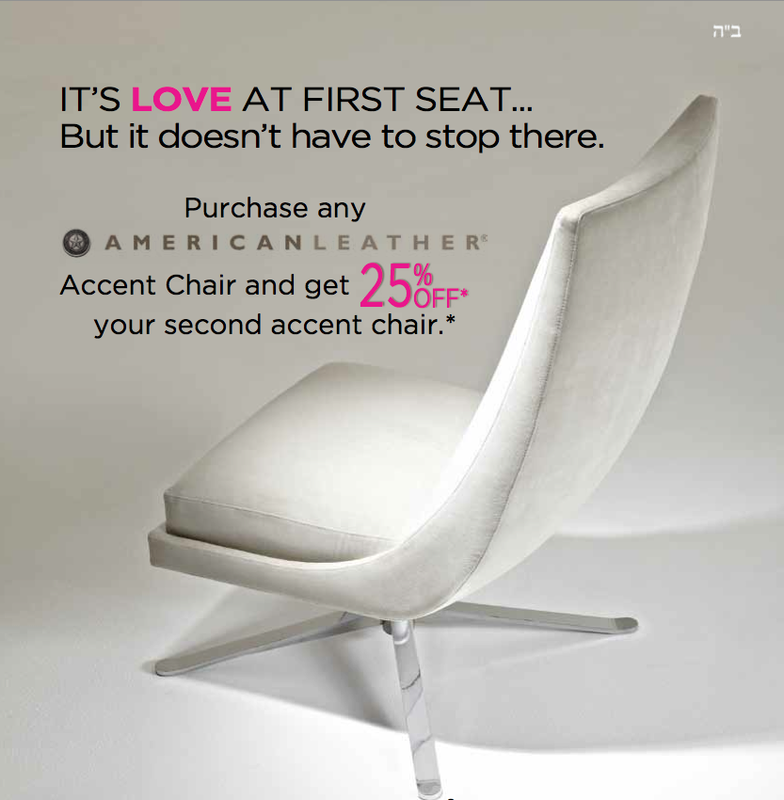 In celebration of this loving month, our partners at American Leather have a wonderful promo of Chairs & Pairs that we are bringing directly to you! We have many of the fabulous chairs on display in our showroom and all the gorgeous options of fabrics and leathers available to you for you to coordinate your perfect pair and make it fit your style and decor. Visit our showroom anytime during the month of February and take advantage of these huge never before seen savings on American Leather accent chairs! *Purchase one American Leather accent chair between February 7-28 and get 25% off your second accent chair of equal or lesser value. 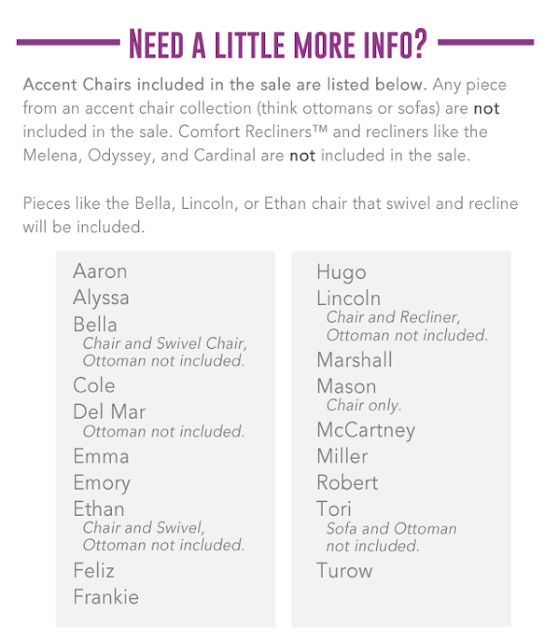 For more information, please call Jaime Wasser at 954.454.9500 or Email Me anytime!